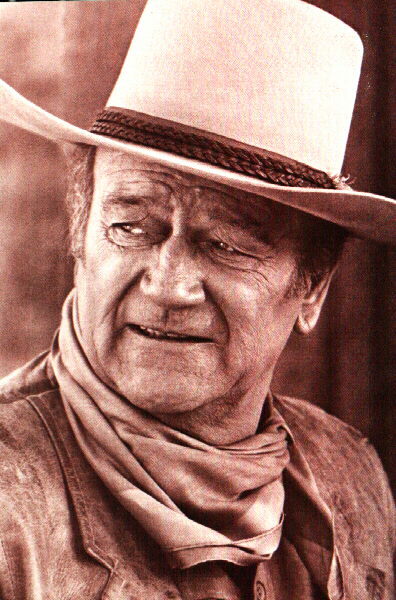 John Wayne An American Hero! "America will never seek a permission slip to defend the security of our country." FOLKS: All my life I've felt privileged to have had good friends around me, privileged to have been able to do the kind of work I know and love the best, and to have been born in a country whose immense beauty and grandeur are matched only by the greatness of her people. For a number of years I have tried to express a deep and profound love for these things; to be able to say what I feel in my heart. And, now, in this album, I've had the chance to do so. I know most of you feel the same as I do about our country. Now and then we gripe about some of her imperfections, but sometimes that's good. Especially if it gets us working together to make things better. It seems to me we often take too much for granted, and have a tendency to forget The Good Things About America. Land Of The Free, and Home Of The Brave. You ask me why I love her? Have you seen a Kansas sunset or an Arizona rain ? Have you drifted on a bayou down Louisiana way? Have you watched the cold fog drifting over San Francisco Bay? Have you heard a Bobwhite calling in the Carolina pines? Or heard the bellow of a diesel in the Appalachia mines? Where men who braved a hard new world, first stepped on Plymouth Rock? And do you think of them when you stroll along a New York City dock ? Have you seen a snowflake drifting in the Rockies... way up high? Have you seen the sun come blazing down from a bright Nevada sky? Or bow your head at Gettysburg... in our struggle to be free? Have you seen the mighty Tetons? ...Have you watched an eagle soar? Have you seen the Mississippi roll along Missouri's shore? Her waters rage along the shore in a thunderous display? Does the word "Aloha"... make you warm? Do you stare in disbelief When you see the surf come roaring in at Waimea reef? My heart cries out... my pulse runs fast at the might of her domain. You ask me why I love her?... I've a million reasons why. My beautiful America... beneath Gods' wide, wide sky. 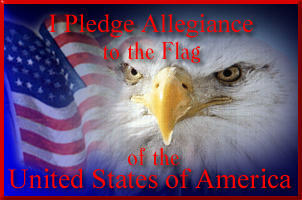 And crown thy good with brotherhood from sea to shining sea."